Blending the rigorous aesthetic concerns of a formalist with an anthropologist’s sensibility for community engagement and observation, Los Angeles-based artist Sharon Lockhart uses photography and film to create poignant, beautiful, and intimate portraits of her subjects. 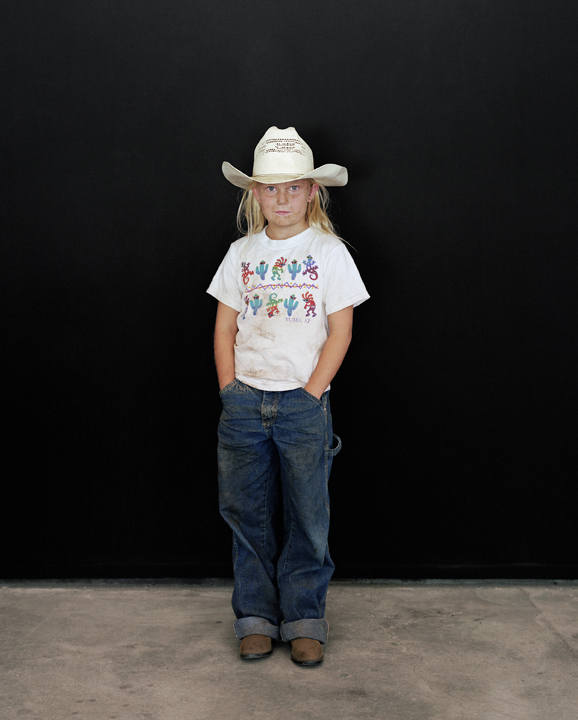 The series of color photographs collectively titled Pine Flat Portrait Studio (2005) present a spare, meditative series of portraits of children the artist came to know during her nearly four-year stay in the rural town of Pine Flat, California. Intending to stay for only a month, Lockhart was drawn in by the children of the town and eventually set up a simple portrait studio in an old barn where she took their photographs against a plain black backdrop with a large-format camera, using only the natural light from the open barn doors. In preparation for each photograph, Lockhart took Polaroids so that each of her subjects could have some say about the way he or she would be portrayed. 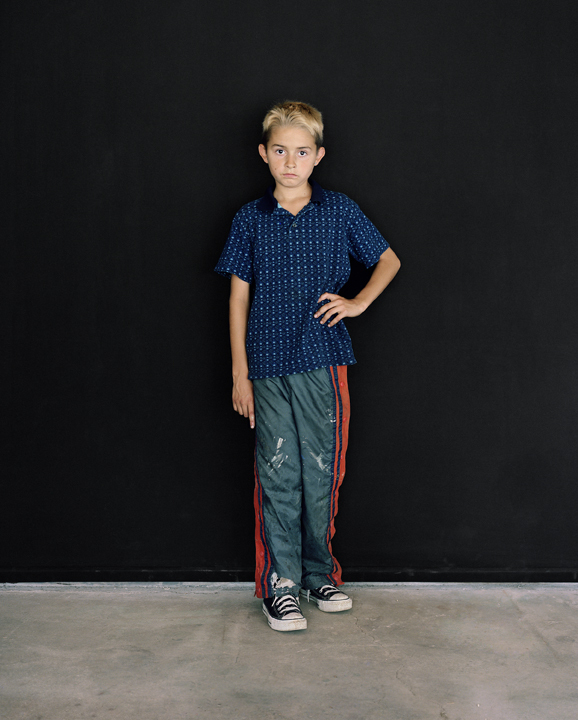 The resulting images show the children as they want to be seen, projecting their sense of themselves through their clothing, postures, facial expressions, and occasional props. While the uniformity of Lockhart's process and the style of the final images belie her engagement with the strategies of conceptual art and the practice of anthropology, the lighting conditions required long exposures, resulting in a depth of color, detail, and emotional intensity that add a mesmerizing psychological complexity to these portraits. The photographs were made as a complement to the centerpiece of Lockhart’s Pine Flat project, a 135-minute, 16mm color film simply titled Pine Flat (2005) that depicts these children and adolescents interacting in the sublime landscape surrounding this small mountain community. Comprised of vignettes of both solitary children and pairs or small groups of children interacting with one another in various landscapes around Pine Flat, the film is a meditation on the subjective experience of time during childhood as well as an abstract portrait of their relationships with one another and the filmmaker.